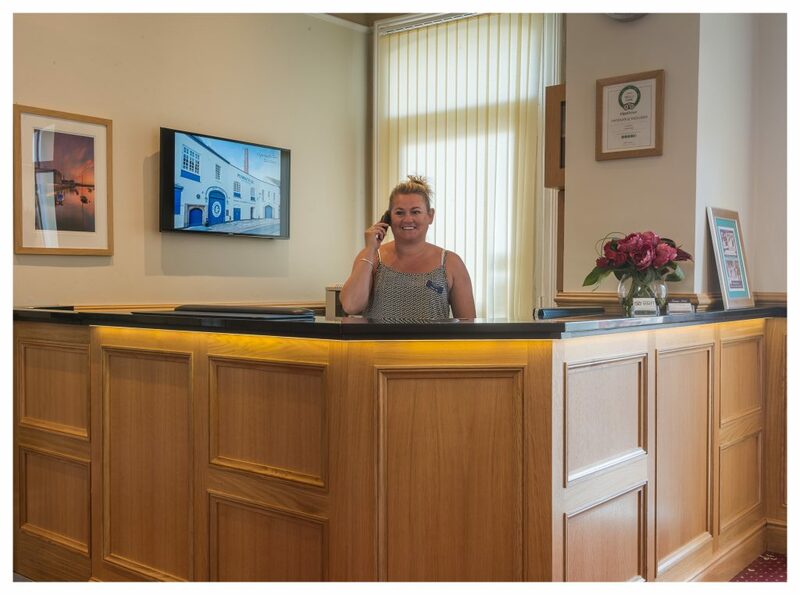 The Invicta Hotel is perfectly located for the business person or families alike. Situated on Plymouth Hoe, it is within a short walking distance from the seafront, city centre, historic Barbican, Plymouth Pavilions and Theatre Royal. From the M5, take the Devon Expressway A38 to Plymouth. Come off at Marshmills roundabout, Follow the signs to the City Centre A374. At the first major roundabout, filter left and follow the signs to The Hoe & Barbican. Just after the second set of traffic lights filter left towards The Hoe & Barbican. Turn left at the mini roundabout. The road bends sharply, follow round into Notte Street. At the fourth set of traffic lights turn left into Lockyer Street. Follow the road up to the crossroads and you will see the Invicta on the corner to your right. Car Parking is to the rear of the hotel. Follow the A38 Devon Express way to Marshmills roundabout and follow above directions. The Invicta Hotel is just ½ mile from the Brittany Ferries’ port from which Roscoff, France & Santander, Spain can be reached. Leave the port and turn right at the first roundabout. At the second roundabout take the third exit followed by an immediate left into Citadel Road. The Invicta Hotel is on the corner of the fifth road on the right.